People keep asking me what being 'Chief Digital Officer' at DfE actually means, and what the DfE Digital team is here to do. Both of them fair questions. Rather than have endless conversations over cups of coffee, I thought I'd write a blog post to clear things up. Digital means changing how we do things, not what we do them with. Applying the culture, processes, business models and technologies of the internet era to respond to people’s raised expectations. There are four things in that list, and technology is only one of them. The thing that trips us up more than anything else is that people hear "digital" and think that it only refers to "technology" or "websites". It doesn't. If we're going to apply today's cultures, processes and business models, that means changing how we work. The way we manage work, the way we fund it, the way we set up teams and the way we allow them to get on with the work. None of that is about technology or websites. Traditionally, DfE’s focus has been on policy. But that focus is shifting. We’re starting to design and run services that meet user needs. Technology and websites are tools we can use to help with that, but they’re not the whole story by themselves. I don’t want service delivery to become a new organisational silo. I believe that policy and delivery are one thing, intertwined. Policy helps shape what delivery of services looks like. Delivering services helps us better understand the impact that policy decisions have, and amend and adjust them accordingly. When Tom says "internet era", he means the world we live in now, surrounded by the internet. Government hasn't ignored the internet, far from it - but it has been slower to adapt to it than the rest of society. That's what's changing. The Digital team is here to help DfE adapt. As a department, we are starting to do more of the practical work to design and build services directly for the people who need them. That trend is going to continue, and grow. We need to become focused on the needs of our users, listening and learning from them so that we can deliver services that actually meet those needs. 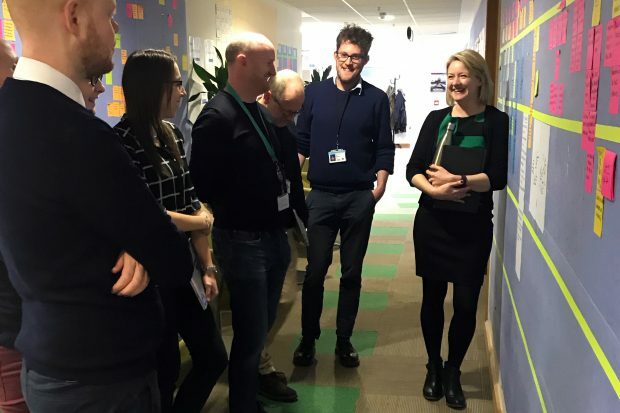 Over the last year or so, our User Centred Design Lab team (now part of the wider DfE Digital team) has been doing some interesting work directly alongside policy professionals, helping to redesign and rethink policy based on user research that identifies real needs. We’ll tell you more about that work in some more blog posts, soon. Teachers, schools, parents and pupils deserve the same simplicity. It shouldn't be hard for them to apply for funding. It shouldn't be hard for them to convert to academy status. It shouldn't be hard for schools to advertise teaching jobs, and for teachers to apply for them. We’re shifting from writing policy to designing policy, basing policy decisions on user research and data and learning from real circumstances in the real world. This is what the User Centred Design Lab was set up to help with. Making these changes isn't a job for the Digital team on its own—it's a job for all of us, for everyone who works in DfE. Digital folk, policy folk, operations, HR, finance, technology, data—everyone. We’re one team, guv. The Digital team exists to help the whole department make that change. We’re not another separate silo busy building websites or fiddling with software in our own little bubble. 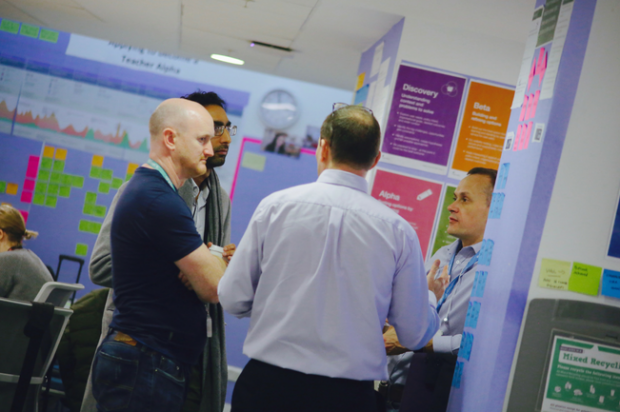 We're here to help everyone in DfE with digital delivery, with user research, with modern ways of working, with new ways of handling, storing and accessing data. We’re here to help this department change how it does things, to be user-centred, so that it focuses better on the most important thing: meeting user needs. Now might be a good time to mention that we're hiring. Join us! To keep up to date with how we're helping the DfE change, subscribe to our blog.